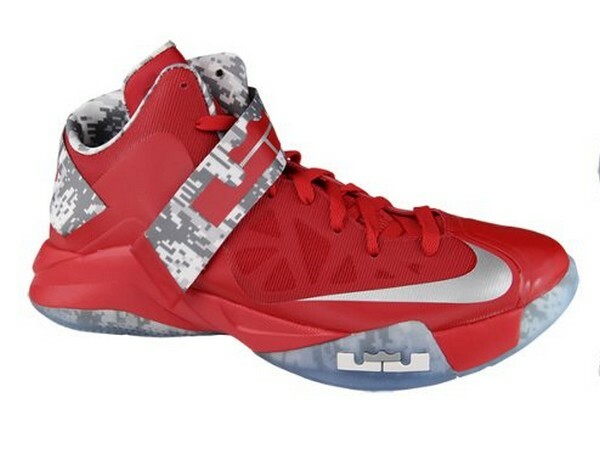 Next month, the men’s and women’s Ohio State Buckeyes basketball teams will take part in the 2012 Carrier Classic, a double-header that will be played on board the USS Yorktown in Charleston Harbor, South Carolina. Last year, North Carolina and Michigan State competed in the inaugural event on the USS Carl Vinson in San Diego. 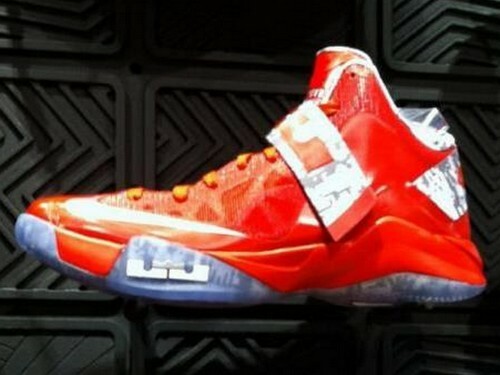 To mark the occasion, Nike is once again dropping special footwear for the game’s participants. 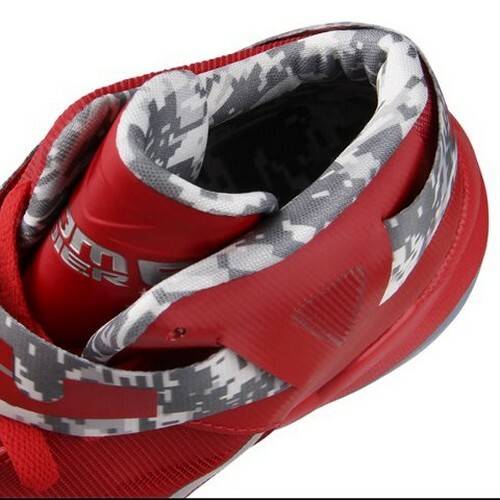 For the Buckeyes, a Nike LeBron-sponsored school, there’s a special version of the Zoom Soldier VI. 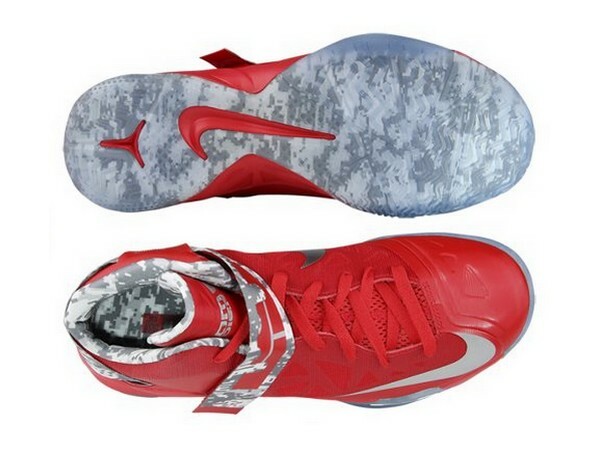 The shoe is red-based with digi camo print on the cross strap and inner lining. 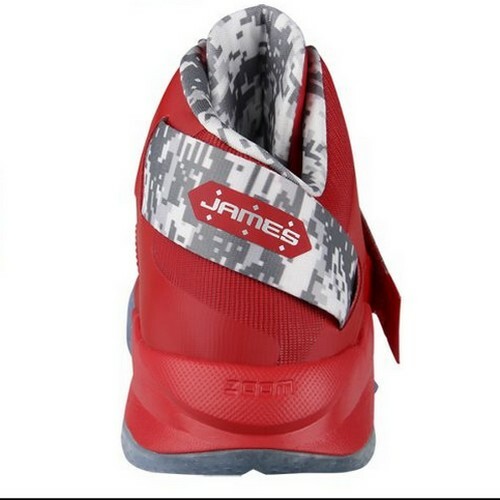 Red also works the midsole, which sits atop a translucent rubber outsole. 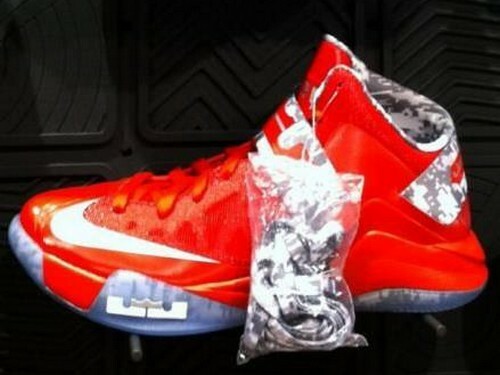 Though a date is currently unknown, it looks like you can expect to see these hit retail in early November. 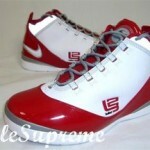 05-10-2011 LEBRON 9: Shoe Science “Position” Video. 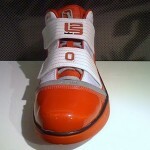 Ohio State 9’s Unveiled.